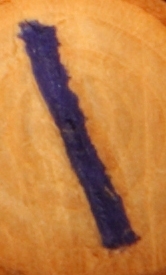 NAUTHIZ Nauthiz is the rune of delays and lacking. It can stand for a sort of trial-by-fire with need bringing forth strength and innovation. Nauthiz can also indicate that it’s a time to face your fears and welcome change that begins within yourself. It can also indicate a need for patience. 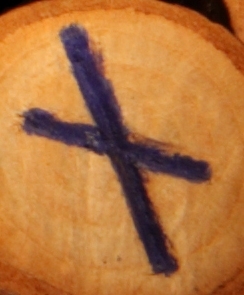 ISA Isa is the rune of frustration and standstill. Isa tends to emphasize the runes around it but can also indicate the need to turn your attention inward. 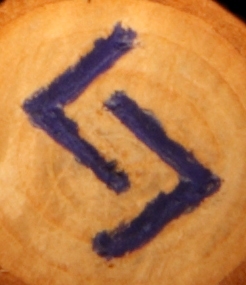 JERA Jera is a rune that speaks to the culmination of events that began earlier. It can be a sign of peace and happiness and prosperity. This entry was posted on Monday, April 7th, 2008 at 1:00 am by Maura Anderson and is filed under Mystical Monday. You can feed this entry. Both comments and pings are currently closed. I likey this series of yours. You gonna give examples of stuff of what they mean in combination when you do readings too? *looks at you winsomely* please?